Starting with Opel, who sold 92,694 Insignias last year – a 20% rise on 2013, putting GM Europe in second place. The Insignia is an attractive car, and by most accounts, a thoroughly median one – not the best, but far from the worst either. It’s been around for a good few years now but given its sales success we’re very likely to see another. This isn’t a market General Motors is prepared to abandon, and given that it’s sold as a Holden in Australia, a Buick in the US and China, an Opel in Europe and (heaven help us) a Vauxhall in Britain, they’d be foolish to consider doing so. Over to Cologne and to Ford, and the picture is less rosy – about 50% less to be precise. 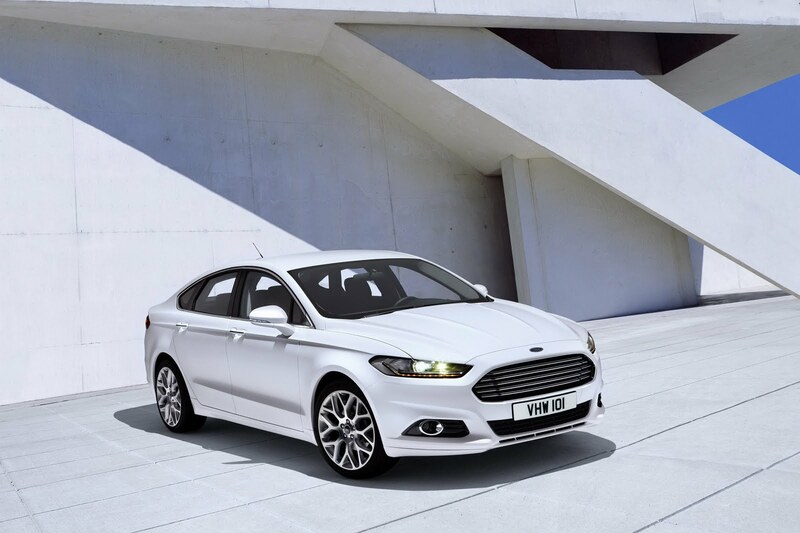 Sales of the outgoing Mondeo continued to fall last year – 45,405 found homes, consigning them to a distant 4th place. This year’s figures are expected to look healthier with its long-awaited replacement model on sale. But much will hinge upon the new Mondeo’s appeal and since it looks disappointingly a lot like the last one, initial signs aren’t brilliant. And while it appears by all accounts a well developed, finely honed piece of consumer durability, the worry is that it will date quickly. Which isn’t great news if the next one is at least another four-to-six years away. But a next one there will be – the One-Ford global policy will ensure that – certainly as long as the General keeps churning ’em out at Russelsheim. The common misconception is that VW’s cash cow is the Golf. Wrong. The Passat is what keeps VW in thrills, pills and bellyaches. 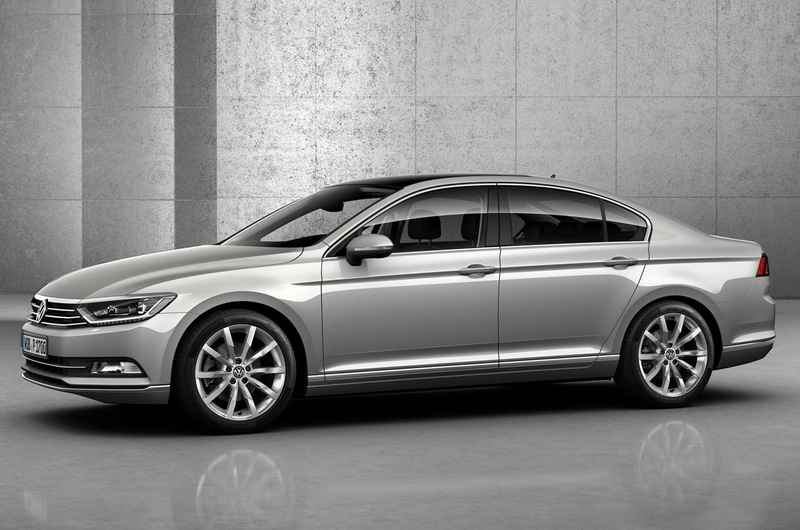 The top-selling D-sector model in Europe, with sales of 153,677 last year, the Passat reigns supreme. VW have just launched a classy and sophisticated 7th iteration Passat and nobody of sound mind would bet against the new model continuing its run of success. With the ECOTY in their pocket for 2015, VW is in it for the long haul. The only fly in the ointment for them has to be the differentiation VW have put in place for Passats sold in Europe, China and the US. This makes no economic sense and requires urgent attention if VW are to cut costs as they have pledged to do; especially since the de-contented US model is selling so poorly. A further ace up VW’s sleeve is the continued growth of its Czech satellite. 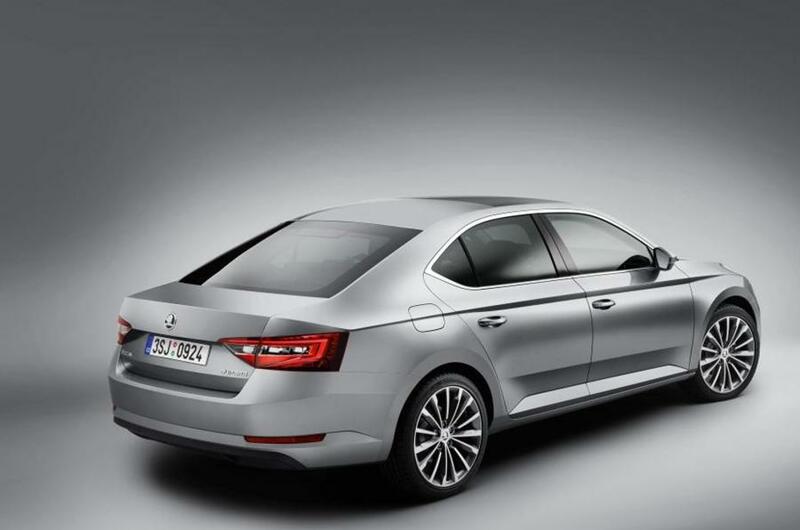 46,149 old-model Škoda Superb’s found new owners last year, up 9% on 2013 and placing 3rd overall, ahead of the Mondeo. Having just launched a new iteration, Škoda now offers most of the advantages of the Passat in a less smugly middle-class package. Škoda continue to make the kind of cars large swathes of the population want to own and this model is likely to further consolidate that position. A Passat for people who don’t like Volkswagens, the combined VW Group now dominate the European D-sector. Nevertheless, they’d be doing a whole lot better still if they were exporting these cars globally, rather than sticking doggedly to the template they have now. With both the 2015 Passat and Superb only getting off the blocks, there is an opportunity for rivals to make some temporary gains, but the time when VW has 50% of this segment really cannot be far off. Terrific news for VW in terms of market share and bragging rights, but less so in terms of cost and profitability. I am not surprised the Insignia is still selling so well; the midlife update made an already handsome car better looking still, plus the interior received a marked improvement in materials. The models with navigation even look upmarket, which considering GM’s policy of pricing to shift, is a win-win. Only dodgy residuals and the lack of a high power diesel tax dodger a la BMW’s ubiquitous 2.0 prevents the Insignia taking the number one spot, I feel. Well, and the weight. And the sub-par interiour space. From what I´ve read, nobody has complained about the weight. It is big, is it heavy? A base model weighs 1503 including driver, according to Opel. The new Mondeo weighs 1584 kg according to Car; The BMW 3-series weighs 1385 kg according to Car Leasing Made Simple: The Passat weight is 1440 kg to 1505 kg (and the boot holds 585 litres though Autocar believes it´s 650). VW don´t make this easy to find. The Mazda 6 weighs 1916 kg according to autoblog (amazing!). Autoevolution says the Renault Laguna weighs 1330 kg. Opels have always tended to be heavy, haven´t they? In this instance, not surprisingly heavy but the Ford is a whole person heavier than a Passat or an Insignia. The Mazda figure can’t be right. According to Mazda Germany it’s 1375kg, which is amazing. This makes the Insignia the second to last. And, while not having sat in a new Mondeo, I guess it has considerably more interiour room. Not to mention the boot in the (for Europe) important estate versions. Perhaps the weight of the Mazda 6 is quoted with four men driving in shifts? The Insignia is a bit tight inside, but no more so than a 3 Series. I believe that the underpinning Delta platform is shared with the Astra. In any case, the Insignia is not unduly rotund. Hi: Mazda UK quote 1447 including a 75 kilo driver. Kerbweight, I think that is. I do accept that the Insignia is a bit heavy. That´s not ideal but I accept it´s also a really nice car in loads of ways so personally I will simply overlook the facts that challenge my worldview. 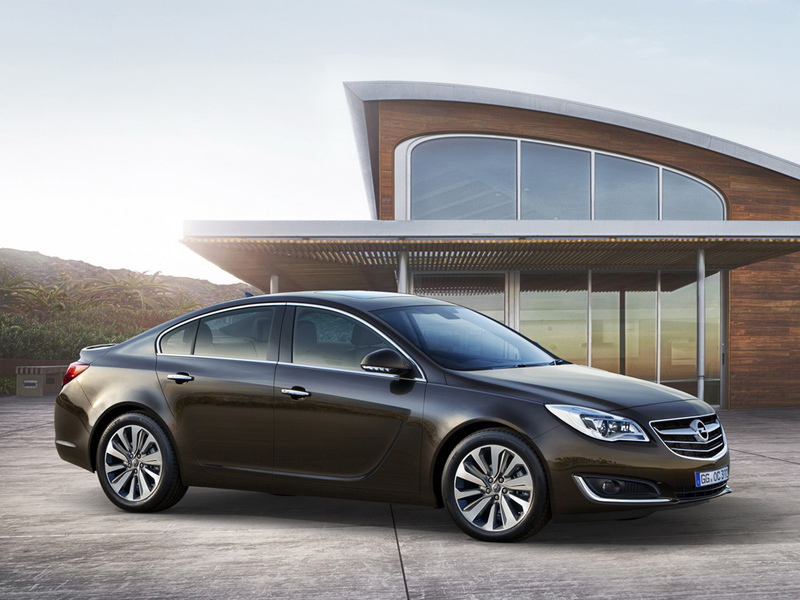 Being serious, the kerbweight difference is 56 kilos betweeen the 6 and Insignia. Is that so important? That´s not a rhetorical question. I had a look at the Mercedes C-class gross vehicle weight: 1445 kg. The A4 weighs 1430 kg. Despite all that, I like the Insignia. It´s my type of car. I love the huge chrome grille and the paint finish. The Astra is on a different platfform to the Insignia. The Insignia is on Epsilon 2 and the Astra is on the Delta platform. I had to look that up. I didn’t say I don’t like the Insignia. I like the design, but technically and in terms of packaging it is too compromised to be on the short list if I were on the market for a middle class car. Indeed and you are quite entitled to like some of the others. The Mazda is the better drive and the Passat is frankly an imperial car at this stage. The latest one seems like an unstoppable force and I don´t know how VW plan for it to avoid stealing A4 sales. I have seen these Passats and if you understand what was good about Buick in its heyday the current Passat is a a European version of that. I still don´t love it but goodness, it takes some pig headedness on my part to resist its appeal. Despite all of that, I feel the Insignia has a lovely unpreposessing quality to it. It´s really a relaxed car done well and sure, it´s lardy but I think that´s built in to it because it has to serve in the US as a Buick where NVH is important. If I had more money than I do, I would go and buy one of those in its utter toppiest spec and enjoy having a massive amount of car for the money. How is the packaging compromised by the way? I am curious to know what´s wrong with it as you see it. The boot looks large and I have sat in the back – comfy enough and my parents (in their 70s) wouldn´t suffer if I jammed them in there. Although they can be deficient in other obvious ways, the GM products I have owned / rented / been abducted in especially in recent times have boasted low levels of NVH from road noise and engine thrash. Indeed, if I could confect a single car from the various parts of my last three, I would have the chassis from the Focus mk 1, the refinement of the Astra mk 5 and the engine from my last generation Civic Type R.
Opel made a folding hard-top version of that Astra plus a three-door coupe-hatch. Both looked fantastic. There are a few of them around here. Several makers offered really nice three door versions of their mainstream hatches and all seemed to have been ignored firmly in the market. I suppose customers went and bought a cheap BMW instead. The Opel Astra OPC looks wild – I expect that the kinds of energetic 27 year-olds it´s desgned for don´t have the money. I owned the Sporthatch version. It was considerably more handsome than the contemporaneous Focus mk2, and being a Vauxhall, it was also much cheaper. Regarding the VW Passat, it is a car born of confidence. The opposite is true of the US Passat, which is by all accounts thoroughly outclassed. For a mirror image, the Honda Accord is a power player in the US, yet the EU version has been axed. Given the steady convergence of international tastes, one wonders why both persist with unpopular localised versions? That´s an invidious choice for me. The Focus 2 is blessed with a flawlessly executed design. While seemingly very rational it looks like nothing else. It´s subliminally quite spacey looking but I can´t say how this is. The Astra Sporthatch takes another path but it too is executed really well. The shape is confident but not contrived and could be sold today without a problem. While there are bigger sources of sadness in this cruel world, one of them is that so much effort is poured into refining cars like this and they public misses it. Both teams of designers were on top form. Yet again, this underlines the value of an “ordinary car” museum. I could spend a long time looking at either of those cars as design objects whereas something flashy costing ten times as much leaves me bored. Richard. Please follow that ambition with vigour. Already I’m walking round looking at perfect, showroom-fresh versions you can sit in … Look, there’s a Fiat 125. Is that an Autobianchi Primula? Hey, a second generation Viva. A Volkswagen K70. A Rover 200. Oh, it’s all too much. I know Bill Gates has things like literacy and human rights to deal with, but £8 million would be enough to fill the museum with examples and any old large warehouse would do to house them. How many cars are we talking about here? 200 would be very representative. Bill Gates loses and gains £8 million every time some currency exchange rate changes by .05%. Bill, if you´re reading this, get in touch. The Passat looks very well but, somehow it lacks the solid bourgeois look of previous versions – but as you say, that is what the Skoda is for. My memories of the rebadged 80s Opels (Astra and Omega) that I had custody of is very fond. They were decent, honest cars and preferable to Ford’s offerings at the time. Of course, come the 90s, Ford blazed ahead with the Focus and Mondeo but now I can’t understand what Ford are doing with the new Mondeo and I have finally switched my theoretical allegiance back to Opel. It’s taken a while since the last Insignia I drove was the previous model, it was a hire car transporting me and my stranded belongings back to Calais and, somehow, I shut my hand in the door – it’s takes a while to forgive a car all that.